“For an author to choose as his explicit models Camus’s L’Etranger, Genet’s Notre Dame des Fleurs, and Sade’s Les 120 Journees de Sodom (all of which he has obviously read in French) and to earn the right to be mentioned in their company is quite a goal to strive for: one that only time will verify but that perhaps Jack Remick has indeed achieved.”Narrated by the sociopath Hank Mitchell, imprisoned for stealing women’s underwear from laundromats, this intensely poetic novel recounts his compulsive endeavor to record on paper his sordid life as a mercenary in Latin America, a hitman in France, a professional killer working for huge American corporations that hold themselves above the law. The world he describes, across which he strides as an agent of death, may be a record of the truth of the times in which we live; it may be self-created fiction that deliberately plays with the reader’s mind. “We are introduced to Hank’s dysfunctional and seemingly real family from whom he learned the art of deception and manipulation, and who want to return him to the outside to use for their own machinations. We meet his two lovers in prison, first Rene and then, after he is murdered, Squeaky. We watch the deterioration of one of the guards. Jack Remick is an original. Blood is delightful to read. It has heart and honesty fun, too. Full of surprise and the heat and throb of human life. The reader can picture the whole thing.” Natalie Goldberg, Author of Writing Down the Bones and Old Friend From Far Away. Priscilla Long, author of The Writer’s Portable Mentor: A Guide to Art, Craft, and the Writing Life and Where the Sun Never Shines: A History of America’s Bloody Coal Industry. “Even though I know there have been very bright serial killers, when I think of killer, I think of a totally non-thinking, non-feeling, just doing it by rote, inhuman robot-like creatures. But with Mitch, Jack Remick gave him a tool to go beyond this, to be more human. He created a tool for the reader to change their perception of him, to humanize him and feel some semblance of empathy. And that tool was writing. Brilliant! …. Mitch appears to be a very well-read, educated person. And he uses all this knowledge at will in his writing and his thinking. Along with his clear thinking, Jack also gave him the wild, bizarre, colorful, imaginative, dangerous and paranoid graphic hallucinations of a schizophrenic or bipolar person. And yet, he is a killer …. We experience his thoughts, feelings, and whirling in his hallucinations firsthand. The reader gets lost in Mitch’s mind, experiencing everything he is thinking and feeling …. Powerful.” —Susan Canavarro, author of “Fragments: Growing up Bohemian poor in Dementia’s House. 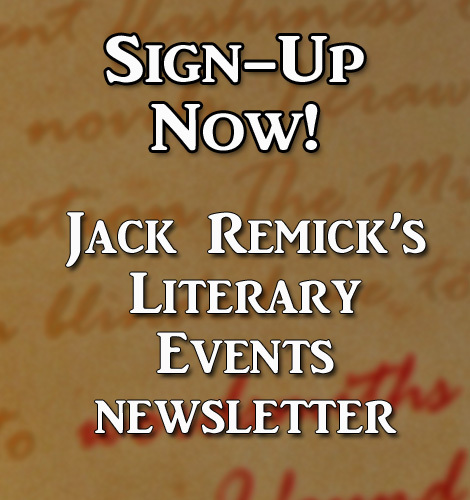 Jack Remick co-authored The Weekend Novelist Writes a Mystery, with Robert J. Ray. 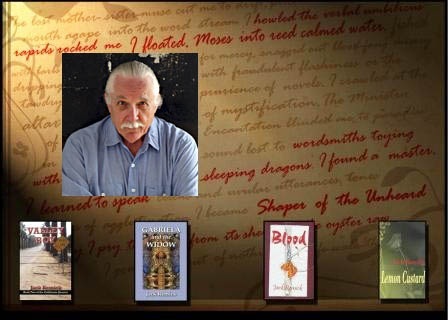 He has two collections of short fiction, Terminal Weird (Black Heron Press), and Throwback and Other Stories (Quartet Seattle). His novels are all published by Coffeetown Press. Websites: Writing Techniques and Blood. Thank you, Jack, for including my review of Blood on this page. What a pleasant surprise to see my words.